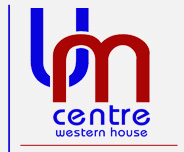 From the moment you and your guests arrive at Western House, you will appreciate that you have made the right choice, as we shall do our utmost to cater for your every need. Western House is The Uxbridge Masonic Centre, and therefore has unique rooms available for your ceremony. The rooms are enhanced by displays of Masonic memorabilia and regalia etc, which creates an iconic atmosphere. There is good access to Western House, being located close to the A40/M40 and Hillingdon Underground Station. We have on-site parking with large scale public parking nearby. In Western House your ceremony will take place on the ground floor and the reception on the first floor where there is a lounge bar and dining rooms. There is a lift for anyone who may prefer not to use the stairs. We offer a wide range of menus from which you can select your three to six course wedding breakfast. Our aim is to make your special day both enjoyable and relaxing, and above all, a memorable one. You can be safe in the knowledge that you will enjoy an extra special time at Western House.